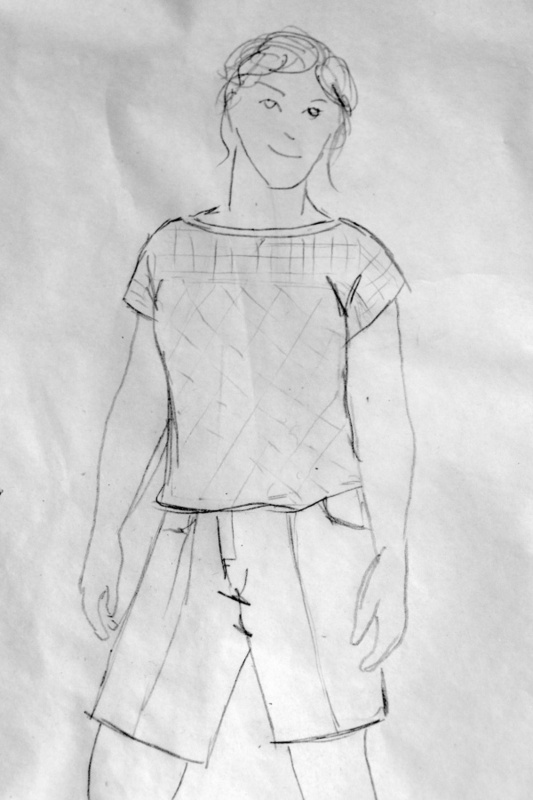 This summer I’d like to weave and sew a lacy top. 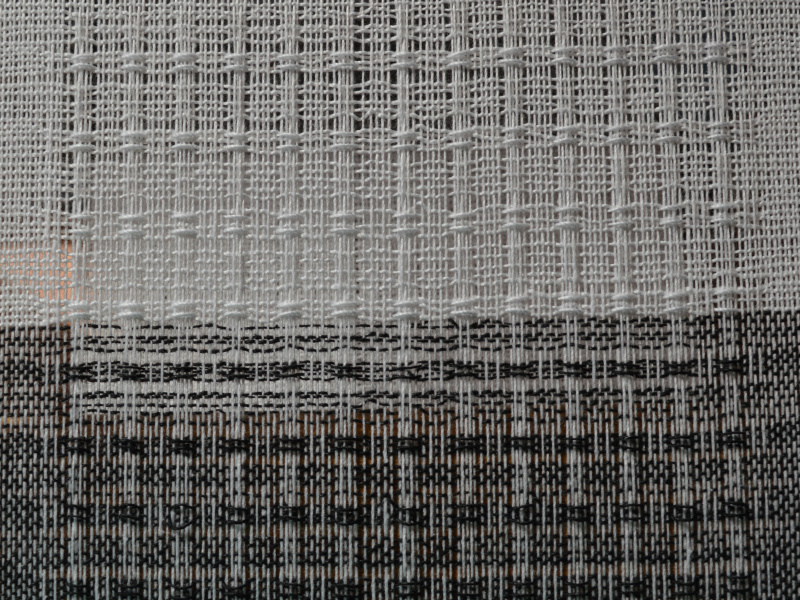 One of my first weaving projects as a silk scarf woven in huck lace and plain weave. It was so delicate. 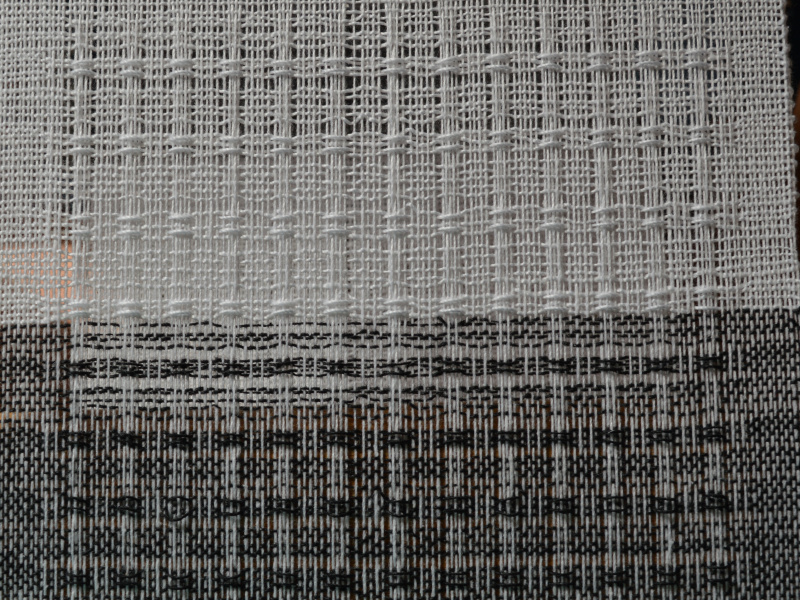 I am always intrigued with lace weaves; by how the threads shift once the cloth is off the loom and washed. 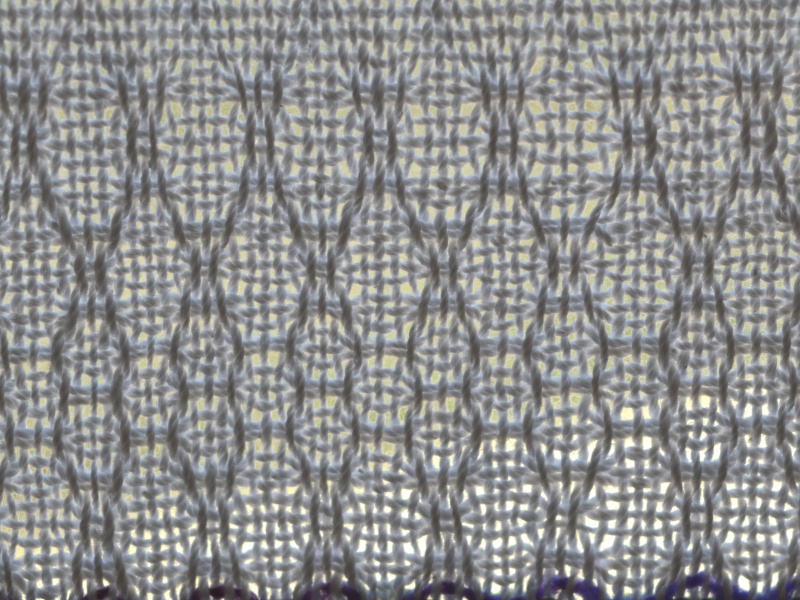 For my top, my first idea was to have a plain or textured weave for the main body, and then a second more open weave on the yoke. But first, I was a good girl, and have done a sampler of different huck weaves to see how they look, rather than diving straight in. 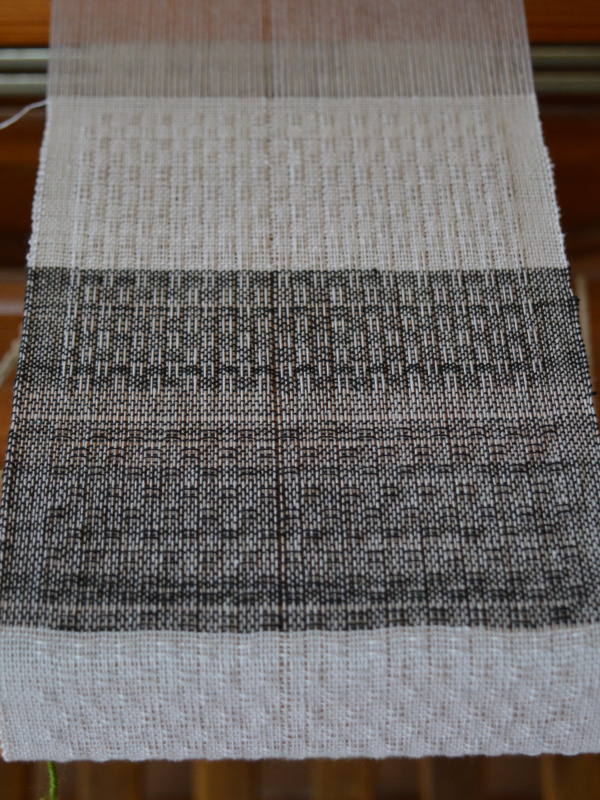 For the same threading, I played with 13 or 14 different patterns, depending on the treadling. 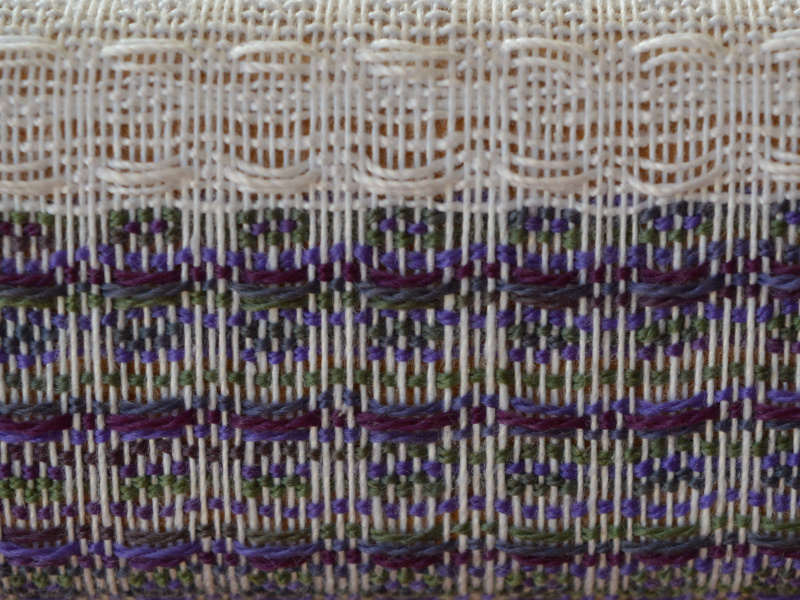 I also played with using a contrast colour for the weft – to see how it looked and also to free up some bobbins from previous projects. 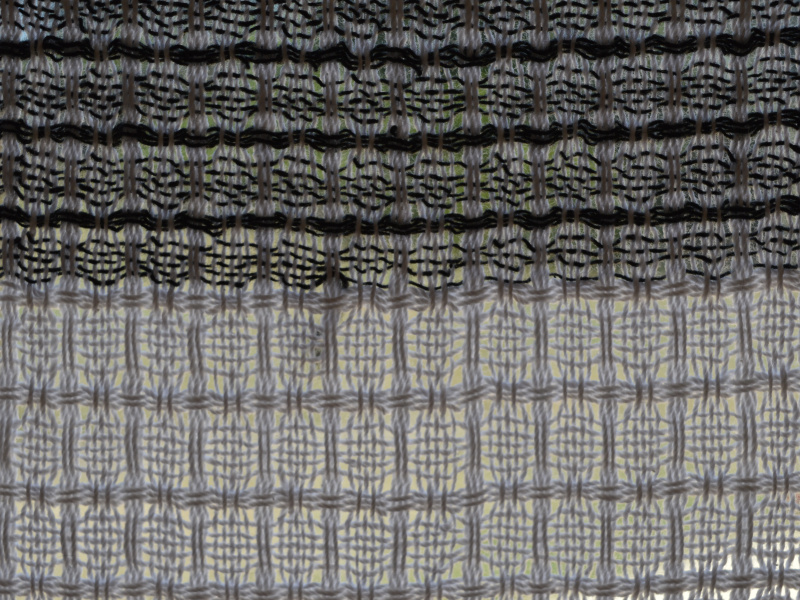 So here are some of the highlights from the sampler – with photos on the loom and after washing so you can see the difference. 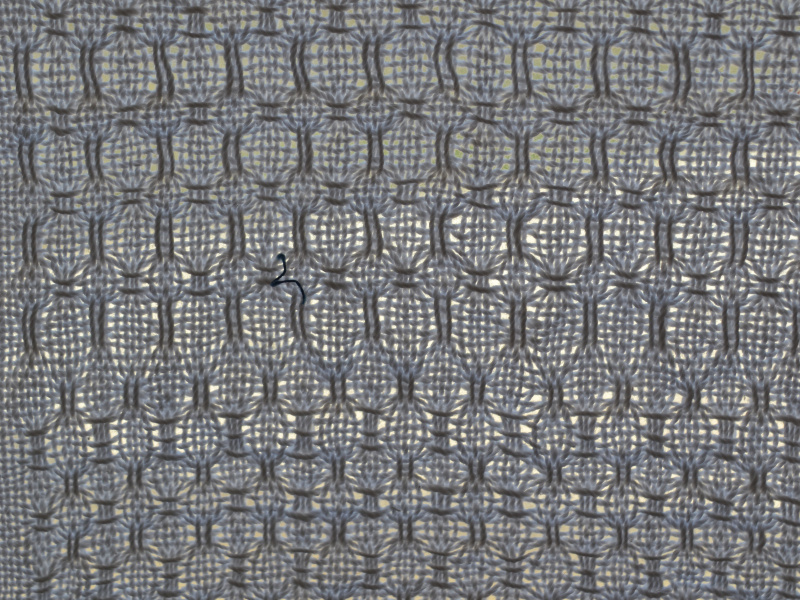 The other weave I was interested in was the lattice weave. 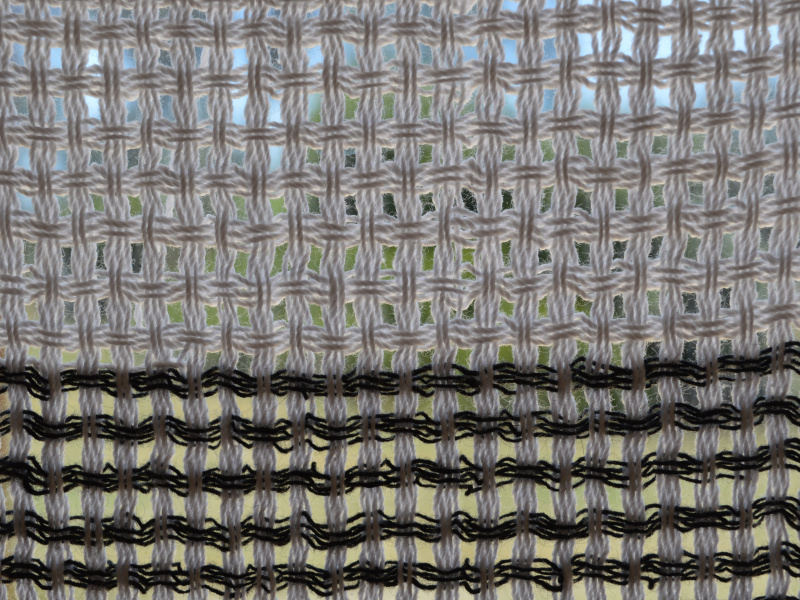 It was very hard to see the pattern on the loom and you can just pick the diagonal ridges looking across the cloth. I had a hunch that there was a problem with the treadling, and sure enough, I ‘invented’ a weave which is part lattice and part cable 🙂 I think the last block in the treadling is an end block rather than part of the repeat. 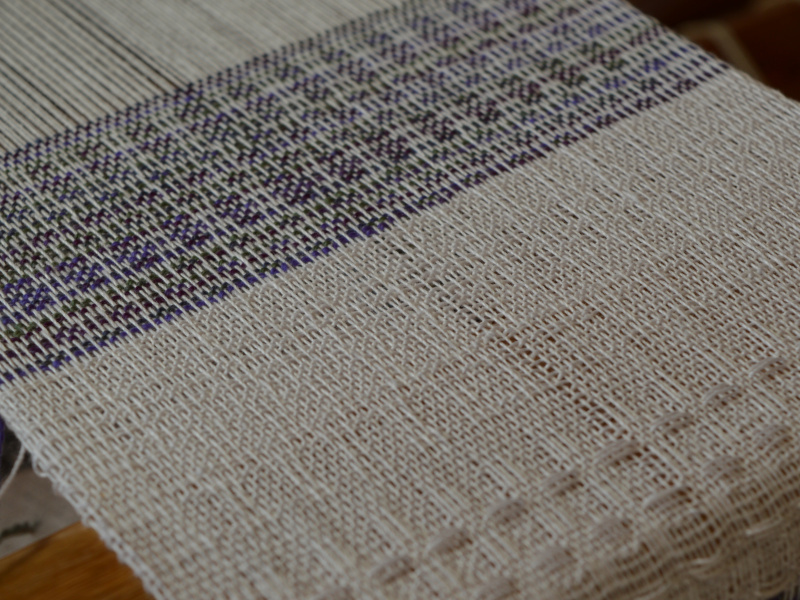 But I’ll plug it into the weaving program to make sure I get it right. So for the top, I’m thinking of having the main section with lattice and the yoke with the alternating warp and weft floats ( the really open one). 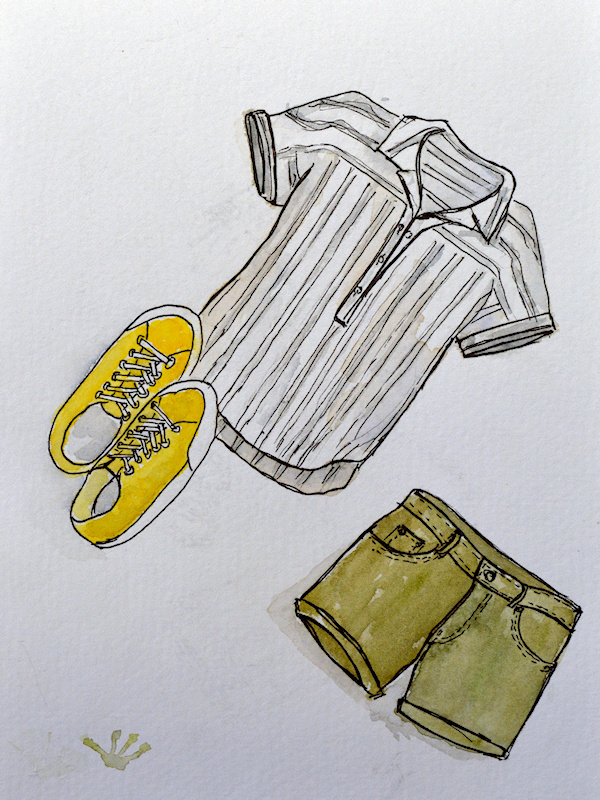 For the design, it will be something simple like the top below. 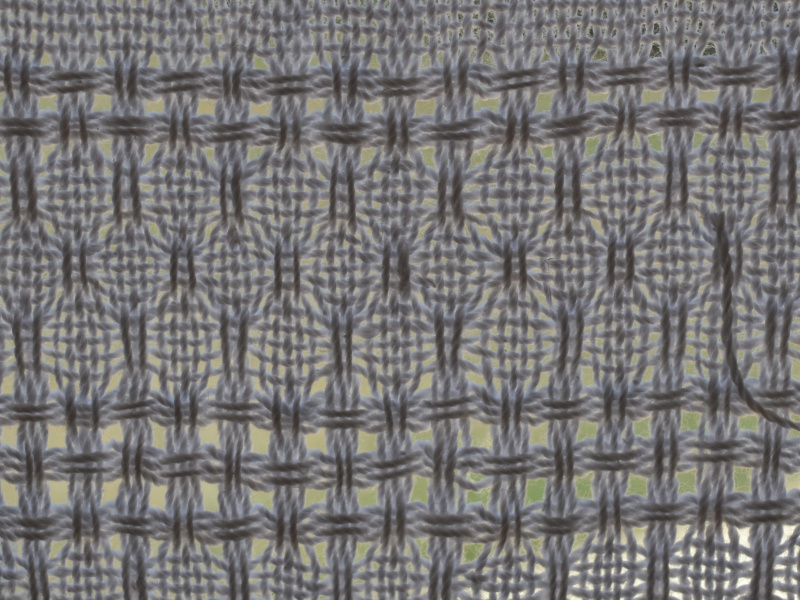 I have a choice now to tie on another warp and weave a scarf, or add the extra warp threads to make the top. 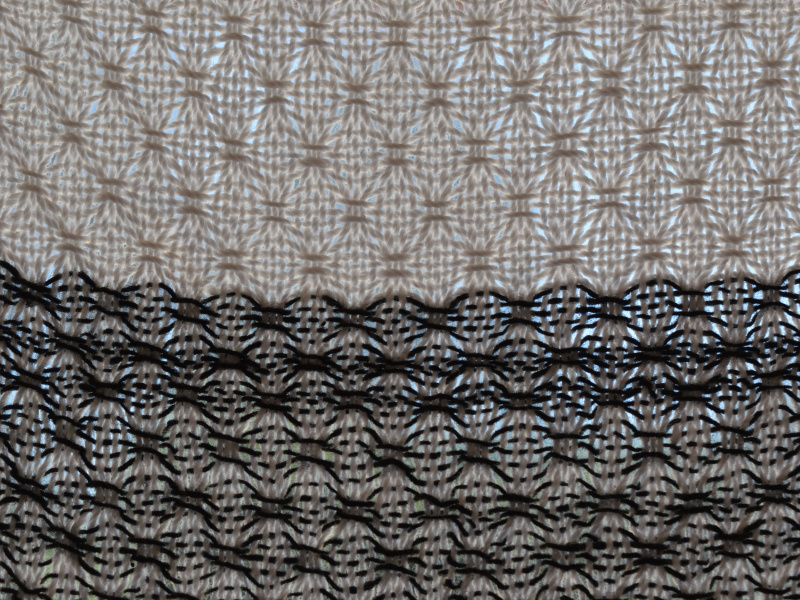 If I wove a scarf, which pattern would be your pick? 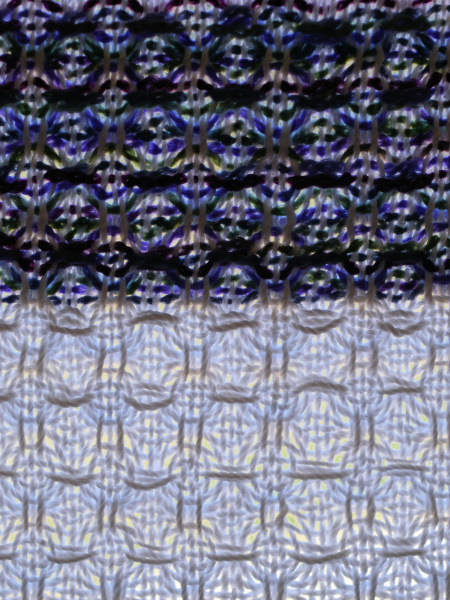 This intrigues me, the way it changes from loom to final piece and I really like your ‘invented’ pattern.